Pssst … Wanna See Something Spooky … ? Have we got an early Halloween present for you! 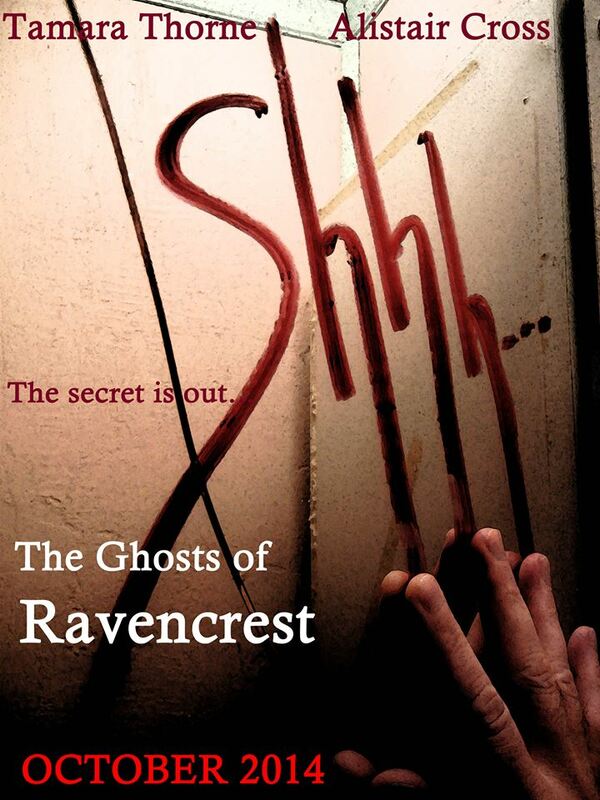 In just a few weeks, the complete and unexpurgated The Ghosts of Ravencrest will be released. 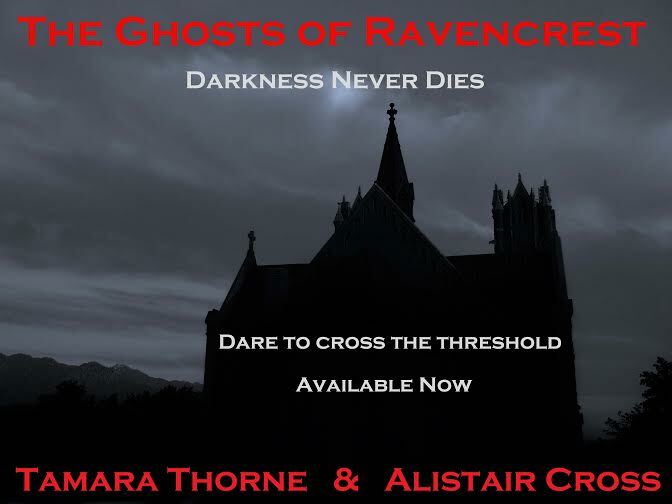 Originally published only as a serial novel in ebook format, The Ghosts of Ravencrest will soon be a full-length novel available as an ebook and, shortly after that, in trade paperback. And guess what? We’ve begun Volume Two of The Ravencrest Saga and the first installment will be available in October. Look for the return of those evil nuns, along with further explorations of the haunted pool, the east wing, the White Violet, the Bride of Ravencrest, Old Peckerhead, and of course, the continuing badness of Cordelia Heller. What won’t she do next? We also have some special surprises cooked up, but our lips are sealed except to say that in Volume Two, we’ll again be returning to the past, this time to the Mannings’ early years in America as they rebuilt Ravencrest and encountered the bloodthirsty witch who laid a powerful, dark curse upon the manor’s inhabitants and their children. 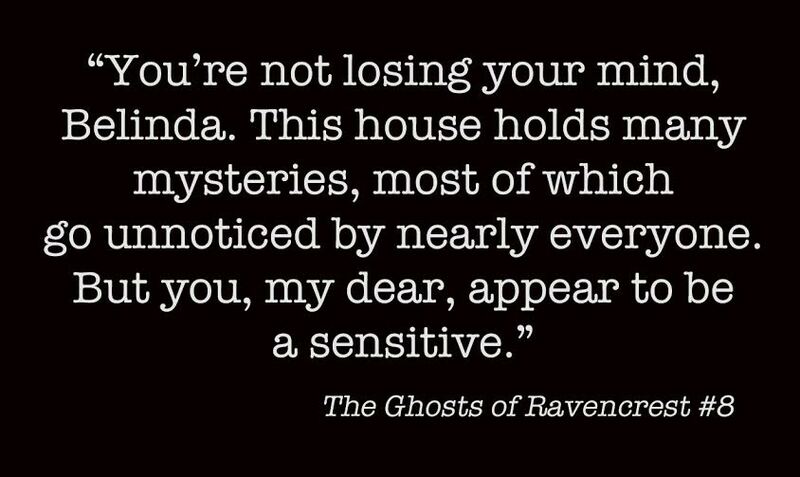 Ravencrest Manor has always been part of the family. The ancestral home of the Mannings, Ravencrest’s walls have been witness to generations of unimaginable scandal, horror, and depravity. Imported stone by stone from England to northern California in the early 1800s, the manor now houses widower Eric Manning, his children, and his staff. Ravencrest stands alone, holding its memories and ghosts close to its dark heart, casting long, black shadows across its grand lawns, through the surrounding forests, and over the picturesque town of Devilswood below. 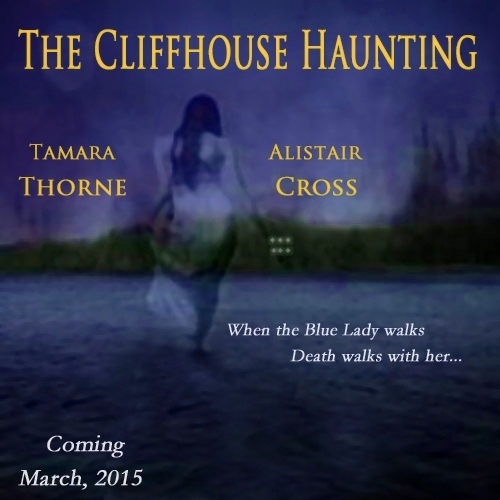 The Cliffhouse Haunting is coming in March! This is the story that started it all when, in 2012, Tamara Thorne and I decided to try writing something together. We began with a modest concept – and hoped for the best, both knowing it could go either way. We quickly realized our union was creative, complementary, and productive. The synergy blazed like fireworks as The Cliffhouse Haunting grew into the book that it is now… and beyond. Together, we’ve generated so many ideas that we haven’t stopped collaborating since, and we have enough material to write until we retire. 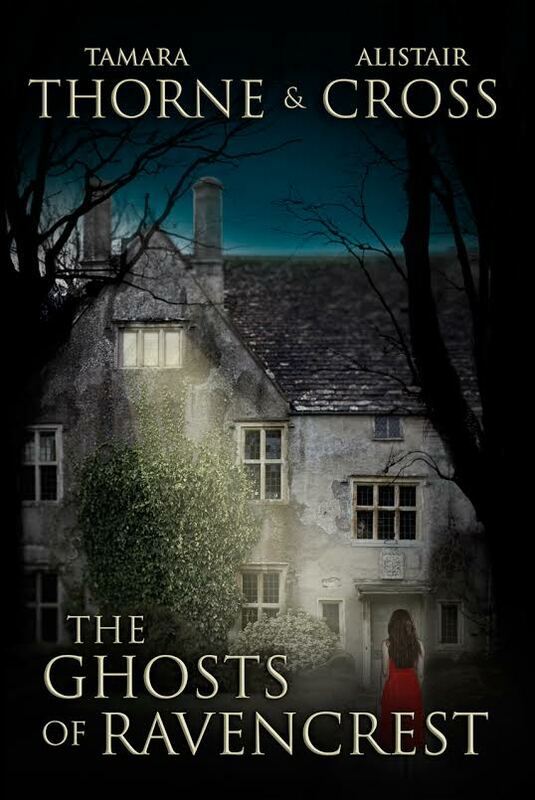 Since 1887, Cliffhouse Lodge has been famous for its luxurious accommodations, fine dining… and its ghosts. Overlooking Blue Lady Lake, nestled among tall pines, Cliffhouse has just been renovated by its owners, Teddy and Adam Bellamy, and their daughter, Sara. Cliffhouse has not always been a place of rest and respite, though. Over the years it has served many vices, from rum-running to prostitution – and although the cat houses have been replaced by a miniature golf course and carousel, Cliffhouse retains its dark history; darkest during the Roaring Twenties, when a serial killer called the Bodice Ripper terrorized the town, and a phantom, the Blue Lady, was said to walk when murder was imminent. Now, there’s a new killer on the loose, and the Blue Lady sightings have returned. The Bellamys are losing maids, and guests are being tormented by disembodied whispers, wet phantom footprints, and the blood-chilling shrieks of mad laughter that echo through the halls of Cliffhouse in the dead of night. The little mountain town of Cliffside is the perfect hunting ground for a serial killer… and the Blue Lady. Police Chief Jackson Ballou has bodies piling up, and between the murders and the mysteries, he can hardly pursue his romance with Polly Owen. And Sara Bellamy may lose her true love before they even have their first kiss. After just one night at Ravencrest Manor, the new governess, Belinda Moorland, begins to suspect her beautiful new home has a dark side. By day, the house and grounds are sublime, but the night is alive with dark shadows and phantom footsteps in empty corridors. Eyes – and hands – are upon her, and not all of them belong to the living.